Steam cleaning your carpet on a regular basis, in addition to the usual vacuuming process, is the best way to keep it clean and fresh. Carpet steam cleaning, also known as hot water extraction, gives your carpet an all-over deep clean. It will help to get rid of germs and bacteria which build up inside the carpet, as well as ensuring any deeply ingrained dirt and grime are removed. Carpets can attract a lot of wear and tear, especially if they are laid in high-traffic areas such as hallways, living areas, function centres and business reception rooms. Foot tread from outdoors can cause all sorts of grime and dirt to embed inside the carpet pile. Ongoing daily use will simply add to the tired look and feel. Pets, smoke, food smells and careless spills will also mean your precious carpet is often in need of some care and attention. 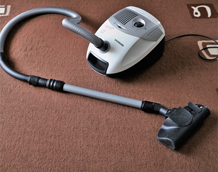 At Jim’s Carpet Steam Cleaning Coogee, we use the best products and equipment on all your carpets and we always work to the highest industry standards. We cover all of Sydney, so it doesn’t matter if you need carpet cleaning anywhere in the area. Not only will our steam cleaning service make carpets look better and smell fresher, they will also feel softer and cleaner overall. The ingrained dirt and grime will be gone, along with all the germs and bacteria. As a result, your carpets will provide a healthier environment for you, your family, your visitors and your work colleagues.